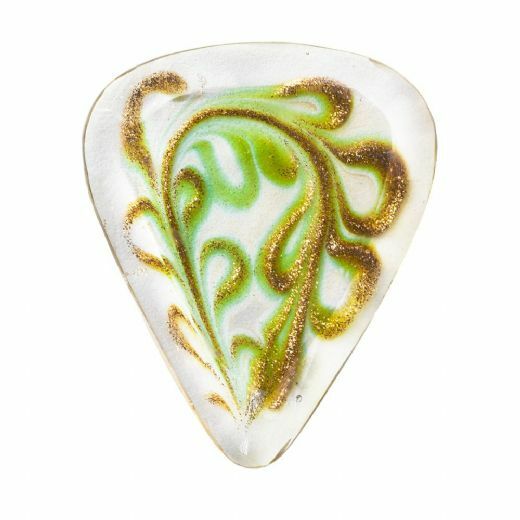 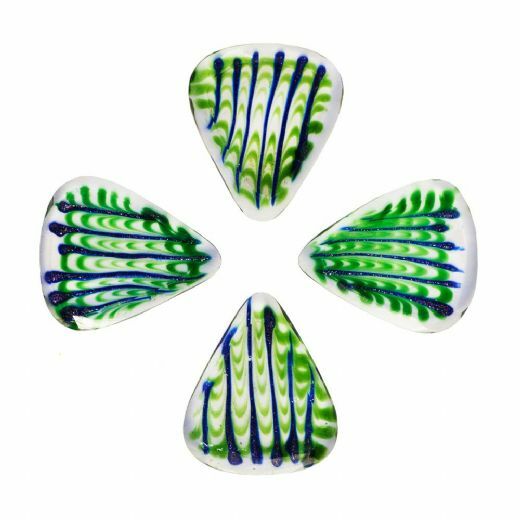 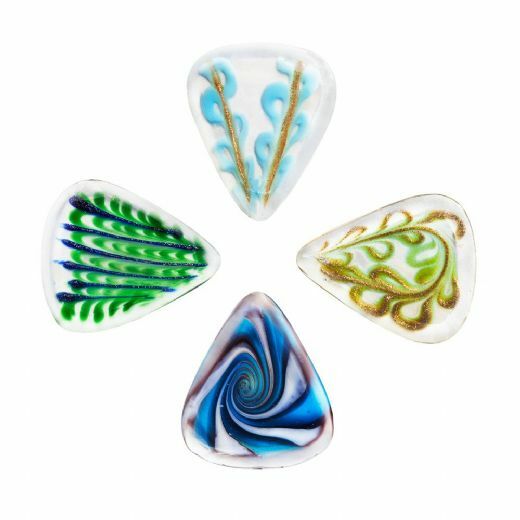 ​​​​​​Glass Tones are beautiful hand made little pieces of Art. 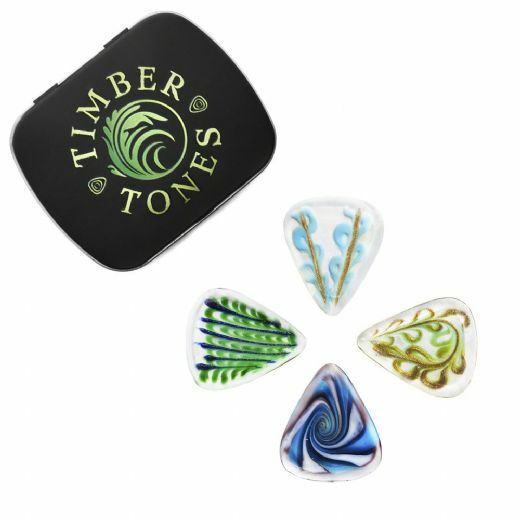 They are 31mm * 26mm * 4mm thick tapering down to a precise playing tip. 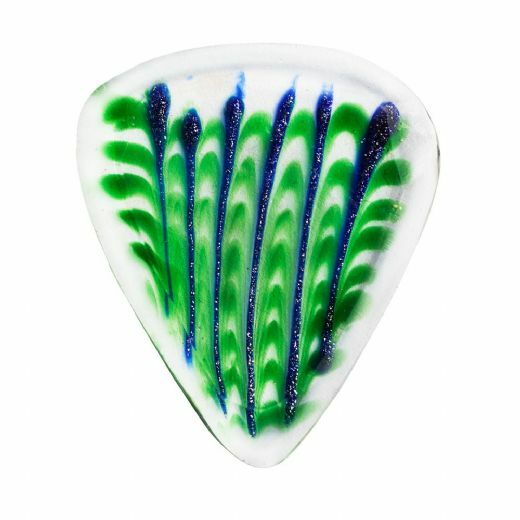 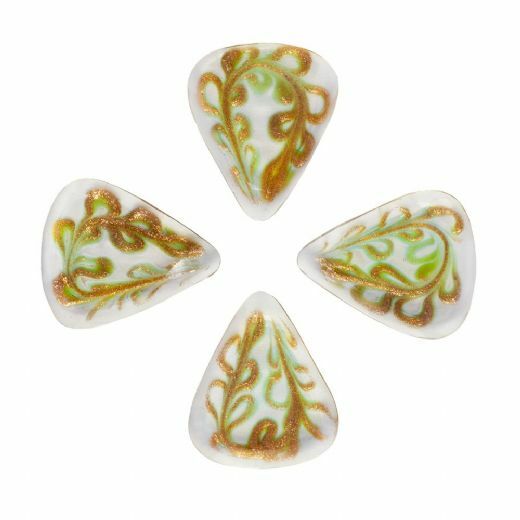 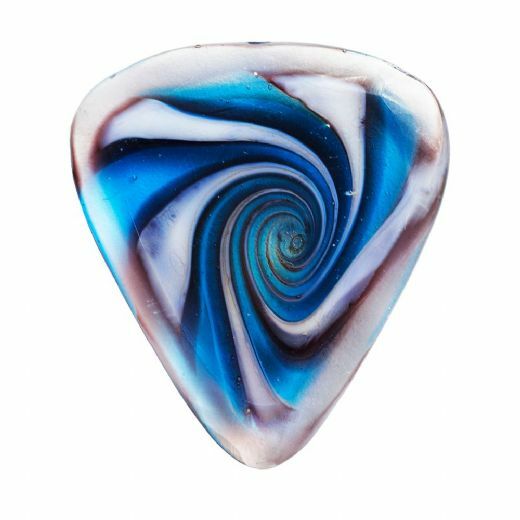 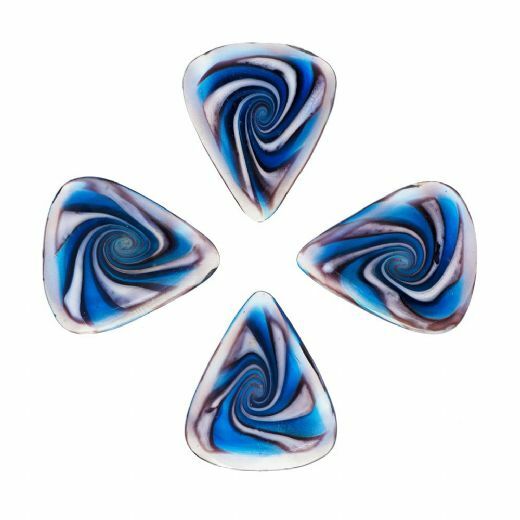 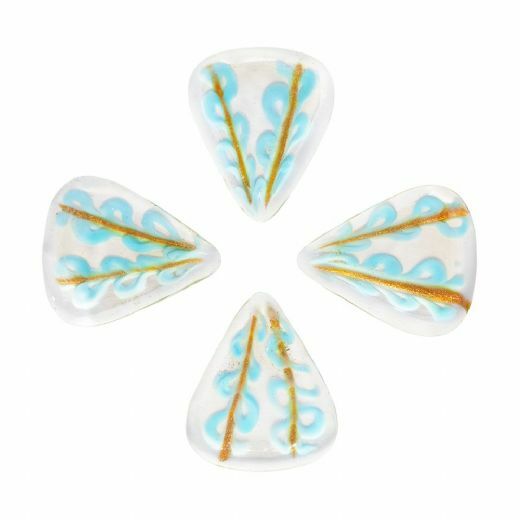 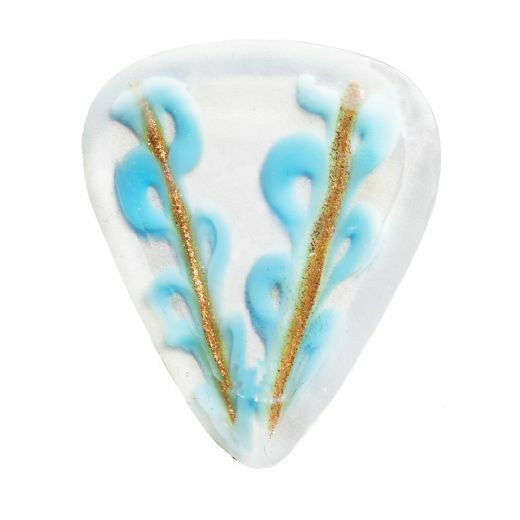 The hard nature of Glass gives them a bright Tone and we recommend them for precise picking on Arch Top Jazz Guitar.